Elevates your pedals to suit your custom setup. The Pedaltrain Pedal-Booster is a smart way to raise pedals on your pedal board for easier access and total control. For example: on the front row you have an unusually tall pedal, and a short one right above it. Reaching that footswitch can be a precarious toe tap balancing act. Enter the Pedatrain Pedal-Booster. These handy little wedges will get the business end of your short pedal up a full one inch allowing easy access. 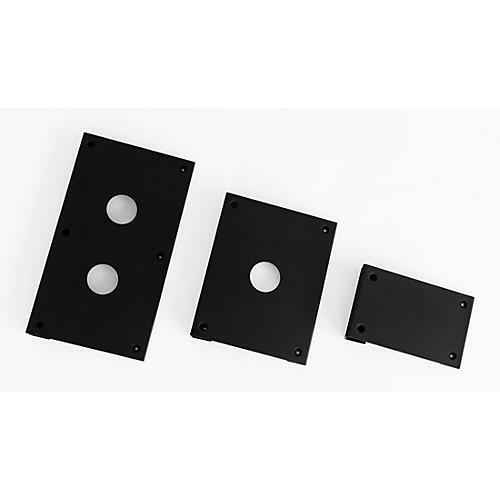 Available in three widths to accommodate virtually any custom configuration, they can be fastened with the included velcro, or for a more permanent application use the provided screws. Constructed of folded steel with durable powder coat finish. Put all your pedals within easy reach. Order today.